The most common term used to refer to myocardial infarction is heart-attack. In this report, TMR Research (TMR) delves into studying the factors causing the demand for post-myocardial infarction treatment. For the purpose of the study, TMR thus segments the global post-myocardial infarction market based on various parameters and then identifies opportunities prevalent across each of these segments. Besides this, the potential market threats are also listed and elaborated upon in detail in the report. The report therefore covers exhaustive information aimed at providing a comprehensive market overview. It also includes relevant graphs, statistics, and infographs to help readers gain a better perspective of the global post-myocardial infarction market. According to a recent report published by the American Heart Association (AHA) every one in three adults was suffering from some kind of cardiac complication or the other in the U.S. along in 2014. These conditions generally have a high likelihood of leading to myocardial infarction. Furthermore, AHA stated that over 350,000 new cases of heart failure were diagnosed among mail in the U.S. in 2013. Besides this, the Centers for Disease Control and Prevention found in 2009 that over 7 million Americans suffer acute heart attract. Due to this high prevalence of cardiac ailments, the U.S. witnesses over US$108.9 bn incurred on disease cost every year. With little likelihood of this disease burden to decelerate anytime soon, the treatment of post-myocardial infarction will witness increasing demand over the coming years. Abnormal food habits, stress, and changing lifestyle are also expected to bolster the incidence of heart diseases. All these factors are indicative of the high demand for post-myocardial infarction treatment in developed nations. With the incidence of cardiovascular diseases increasing at emerging nations as well, the post-myocardial infarction market will soon gain pace in developing countries. The market in these nations however might have to face challenge from unfavorable reimbursement policies and low healthcare penetration in remote areas. Asia Pacific, North America, Europe, and Rest of the World constitute the key regional segments in the global post-myocardial infarction market. Among these regions, prospects witnessed in North America have proven the most lucrative. Overall high awareness about critical illnesses, coupled with the higher affordability of consumers has helped the post-myocardial infarction market expand significantly in North America. The market is also expected to gain from the favorable reimbursement policies in the developed regions. Besides this, the market is also expected to witness attractive opportunities in Asia Pacific and Europe. The rising healthcare spending in Asia Pacific is expected to create lucrative prospects for enterprises operating in the market during the forecast period. 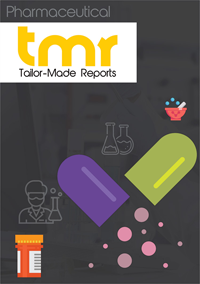 The pharmaceutical and biotechnology companies currently exhibiting strong growth in the global post-myocardial infarction market are Merck, GlaxoSmithKline, Novartis, Sanofi, and Pfizer. Besides aiding the market rake higher revenue, these companies are catering to the demand for diverse products in the market. They have been exhibiting increased investment in research and development as well, which is foretold to have a positive influence on the overall market. Using SWOT analysis, the report gauges the strengths and weaknesses of the leading market players. Based on results obtained from the analysis, the report also identifies the opportunities and threats that these companies are likely to witness over the course of the forecast period.